This page contains a list of businesses and services with ties to Puslinch. If you own or operate a business within Puslinch and are not listed here please contact us for your free listing. Sponsorships are available at a very reasonable cost to help us cover the cost of providing this service. To feature your business as a sponsor of PuslinchToday.ca simply contact us and we’ll get you all the information you need. Dr. Peter Fraser, Chiropractor B.A., M.A., B.App.Sci. At Aberfoyle (Guelph) Family Chiropractic our goal is to discover and deal with the underlying cause of your block to health. We will teach the unique role that chiropractic plays in the optimal expression of health in people of all ages – newborn (for colic, digestive disorders, ear infections) to budding athletes and intellects to mothers and dads and retirees. 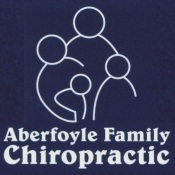 We offer gentle chiropractic care for all ages and all walks of life. Our purpose is to help people live subluxation free so that you can express your optimum health potential, to educate so that you better understand how chiropractic can help you and your family live a healthier fuller life. What is your health stopping you from achieving? A Change of Pace restaurant is what some consider “a classic roadside diner”. We pride ourselves on our “down home” atmosphere and quality of our food. Stop in to visit us and enjoy a bottomless cup of coffee along with your meal. We are well known for the Mennonite Bacon we serve with our all day breakfast and every day our “specials” board lists all the daily specials along with the daily soup. You are cordially invided to visit our website and learn about the history of Puslinch. Thanks to the kindness of many contributors there is a wealth of information on this site and books are available for purchase. For sale at the Puslinch Township Office: The Irish Catholic Families of Puslinch: A Genealogy – $20. Marriages, Vol. 1 & 2 – both for $25. Puslinch in the Papers – $45. Welcome to Drumlin Farm! We are located near Aberfoyle, in Puslinch Township, Wellington County. 14 km from Guelph City Hall, and 7 km from the Puslinch Recreation Centre. Being organic is important to us. We are Certified Organic through Ecocert Canada (#92366). Enver’s is going into our 31st year as a restaurant, started in 1982 by Enver Bismillah. The food styling has changed but the spirit of good food and wine has continued. Since 2000 we have created a fine dining experience based on a strong belief in utilizing the best quality product and focused on fresh seasonal ingredients. With this philosophy we now have our own garden, growing heirloom tomatoes, fresh herbs and vegetables. The restaurant has expanded to include a beautiful outdoor patio, new bar and dining room evoking the history of our building. We are now able to offer private functions, corporate meetings and extended dining. Full service Residential and Commercial Cleaning Services. Why Choose Fresh Scents? We are a professional licensed company with insurance, bonding and full background checks on all of our staff. We customize our service to your needs … by creating a customized checklist for each client to ensure quality & thoroughness. We can fit our services to any budget by performing only the services you want & need at a great price. We have a 100% satisfaction guarantee. We use all natural products, essential oils & specialized equipment that are proven to be safer, better for your health & the environment and also more effective than traditional chemical cleaners. Try us once & we’re confident you will always want a Fresh Scents Clean! Call today for your Free, No obligation, cleaning consultation! Royal LePage Escarpment Realty, Brokerage – (519) 853-2600 Office, (519) 766-8132 Linda Olson, Broker, 2 Mill St E Acton. When it comes to personalized photo organizing services, there really is no other choice. Snap Shot Solutions offers quality, convenience, care and unrivaled customer service. Our creative consultants work with you in your home and help you to organize the memories you cherish, bringing them to life in the product of your choice. Tomboyz Landscaping was established in March, 2007 by two sisters Amy & Amanda. We treat every job and every customer the same, no matter how large or small the project is. With professionalism, courtesy and execution upon delivering our services, guaranteeing complete satisfaction with every job we do. There is a difference – from buyers to sellers, from investors to builders, TrilliumWest has carefully crafted strategies and procedures to serve you, the client, in the very best way we can. 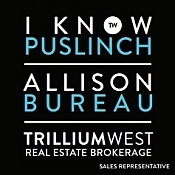 We know you will love the experience of working with the dedicated professionals at TrilliumWest. 1527 Regional Road 97, Puslinch, ON. Click here to follow Valensbrae Farm on Facebook. As a printing brokerage, we work for you the client to get you the highest quality professional printed products at unbeatable low pricing Guaranteed! We have access to 1000’s of printed and promotional products from our suppliers as well as replacement toners & ink cartridges for your home or office printers, and negotiate the best pricing for our clients each and every time. Our goal is to help your business to attain success through key marketing ideas and products that work for your target audience. We know that the more success you have in your business the more you will return to us for your marketing needs. Give us a try and we are sure to save your business some time & money. Whistle Stop Cooperative Preschool combines the two most important ingredients of a successful first childhood experience: the expertise of Early Childhood Educators and the best expert on your child… YOU! The Whistle Stop program runs M/W/F mornings and offers a wide range of activities to stimulate your child’s interests: stories, art, music, and creative play to name a few. This is a place where teachers listen to your thoughts concerning your child and work with you to meet your child’s needs. Whistle Stop strives to expose children to learning experiences that will develop their natural curiosity and love of learning.